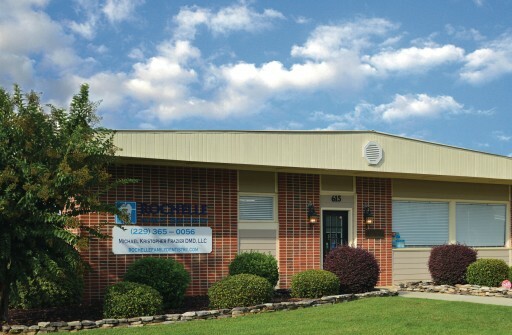 Editor’s note: This is the third in a series of Word of Mouth articles highlighting community-based dental rotation sites for seniors. Dr. Michael Frazier remembers laughing self-consciously when it happened. “I was embarrassed,” he recalls of his reaction when a horse, spooked by a sudden thunderstorm, bucked him off and trampled him in the middle of a pasture. The owner of the horse farm got to him quickly, but an ambulance was late in arriving. Frazier’s father, who had rushed to the scene as soon as he heard what happened, finally scooped his son in his arms and drove him to the hospital himself. His shin was so shredded – stripped of skin, flesh, muscles, tendons and nerves – that the leg was almost beyond repair. But Frazier’s health care team was determined to do everything possible to save it. Frazier, a high-achieving kid from Bolingbroke, Georgia, who excelled at sports and outdoor activities, had his whole life ahead of him. The first of many surgeries soon followed. “I was in the hospital 28 days, and I missed my whole freshman year of high school,” says Frazier, noting he was homeschooled by his high school Spanish teacher during a grueling rehabilitation process. Frazier’s outlook from the very beginning of his ordeal was remarkably sanguine. “Looking back, I can see how I picked myself up and dusted myself off,” he says. He was eventually back on his feet literally as well as figuratively. His days of playing offense and defense in football were over, but Frazier stayed on the team as a kicker, going on to set several school records. He pushed himself to get back on track in other areas of his life as well . . . back to the golf course, back to his fishing hole, back to the classroom, back to his life. And he never forgot the professionals who helped him do it. “That’s when I got interested in health care,” he says. Once he had his degree, he was eager to get to work, not only to set his dream in motion but to pay down the debt that had financed his education. “I was the first male college graduate in my family,” he says, adding that student loans were an absolute necessity. He worked for a year at a large practice in Warner Robins, Georgia. 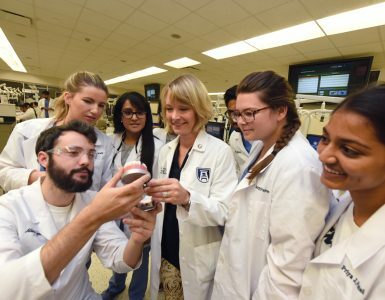 But his modest upbringing and rural roots soon led him to Vidalia, Georgia, where the Compassionate Care Dental Clinic, created specifically to treat underserved patients on a sliding-scale fee system, was just getting off the ground. Not only does he enjoy the patients – humble, hard-working and hugely appreciative of their care – but he relishes the opportunity to continually stretch his abilities. 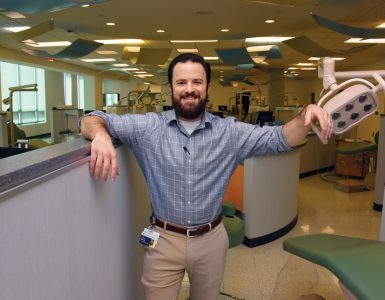 “I do a little bit of everything – general dentistry, implants, sedation, hospital dentistry, pediatrics – and I’ve devoted a lot of time and education to learning new skills,” he says. 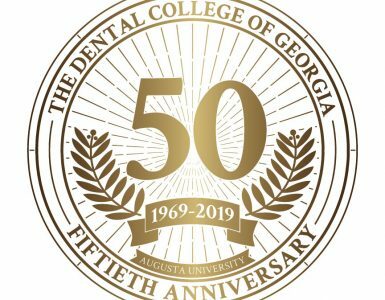 His gratitude was a primary factor in deciding last year to welcome Dental College of Georgia students into his clinic for clinical rotations. Two at a time come on board for two-month rotations. 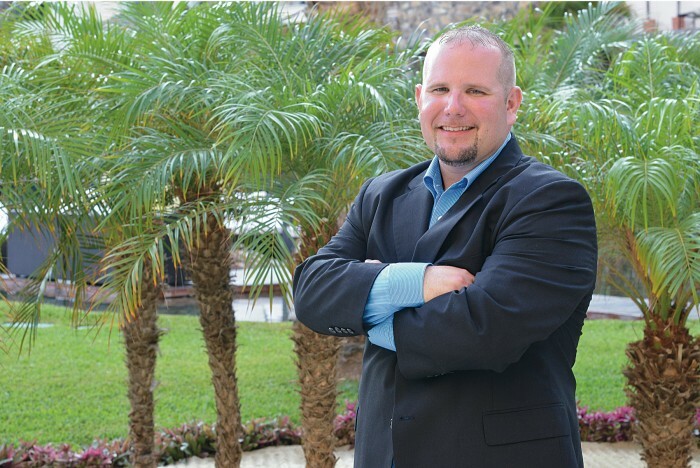 In fact, Frazier made such a strong impression that upon graduation, Griffis followed his path by signing on at Valdosta’s Compassionate Care Dental Clinic.